As a Center of Excellence in basic and applied research in biomedical and clinical sciences aiming to combine services, research, and education so as to ultimately improve the quality of life of people, the CING has paved the way for a new generation of scientists. 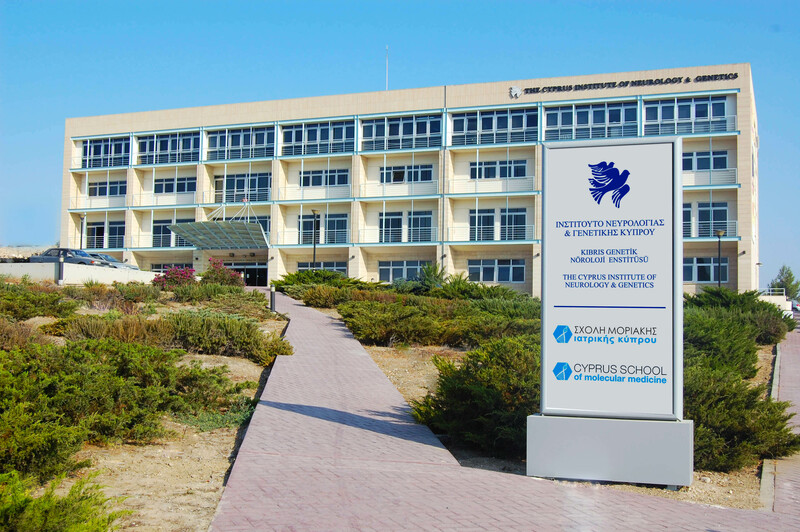 The Cyprus School of Molecular Medicine, housed within the CING premises provides students with a unique educational experience combining taught courses and research conducted in specialized state-of-the-art laboratories, in the areas of neurology, genetics, and biomedical sciences. CSMM students are taught and mentored by some of the most highly qualified scientists in their fields. The CSMM aims to attract outstanding students with intellectual curiosity, who want to expand their education and the state-of-knowledge on regional problems of global significance on the topics covered by the Departments and Clinics at CING. What you gain as a CSMM student Upon completing their selected program of study, graduates of the CSMM can expect to have in-depth knowledge of topics covered by the specialist Departments and Clinics of the CING, while also advancing their analytical skills, comprehension of problems and ability to propose innovative solutions contributing to the international scientific community. The vibrant environment of the CING, within which the CSMM is housed, provides the ideal setting for students to experience and benefit from the 3-pillars working seamlessly together to form a positive feedback loop: SERVICES (day clinics and inpatient ward), RESEARCH (6 Clinical Sciences departments and 9 Biomedical Sciences departments) and EDUCATION. It is the goal of both the Institute and the School for our students to acquire not only academic proficiency while at the CSMM, but also valuable transferable skills. For this reason each of our programs and their respective courses have been built to include practical and crucial skills, such as the ability to work diligently and productively on challenging projects, the ability to set goals and successfully manage a study/lab schedule, teamwork skills, good communication skills and effective communication of ideas both verbally and in writing. The program promotes excellence and educates students on the significant issues in Biomedical Research. The challenging curricula include mandatory taught courses which cover the main aspects of Biomedical Research and a number of elective courses enabling students to broaden their knowledge of other relevant fields.